AN 1899 copy of John Bunyan’s ‘The Pilgrim’s Progress’ found in a Glasgow bookshop was donated to Helensburgh Heritage Trust . . . and led to a flurry of research by two of the directors. The book was presented by the finder, Glasgow man Michael Bar-Lev, who was interested in the Helensburgh background. On the inside cover is a label stating that the book was a school prize awarded in 1899 to Miss Mary Gibson of Class 111, Grant Street and James Street School, for coming first in English and Writing. The label also bore the name of the headmaster, James A.Crabbe, B.A., and Mr Bar-Lev wondered if there were any descendants of Mary Gibson and James Crabbe still in the area. The Trust directors were intrigued as to the designation of the school. How had the linkage of Grant Street and James Street come about, and what is known about the school, or schools? Alistair McIntyre and Stewart Noble set out to answer these questions, and began by looking at the background to Grant Street School (above) — which was the senior partner. By the middle of the 19th century, there was increasing anxiety in Helensburgh over a perceived section of society in the town, seemingly beyond the reach of the relatively good educational provision that already existed. The parents concerned were thought to be “too poor or too indifferent to pay the usual fees”. As a result, plans were made to set up a school, which, though not a charity school, would reduce fees to such a small sum as could cause no difficulty to the parent. A number of public-spirited people stepped forward to help make the vision a reality, the upshot being that in 1851 a school was started in an attic room of the old Town Hall, with the teacher being George Mair (left), a 21-year-old Ayrshireman. This came to be known as the Industrial School, or the Ragged School. The term “Ragged School” was no mere colloquialism, but was used as an official description, part of a British-wide scheme. A Miss Galloway generously put up funds to build a house for the teacher, and a suitable residence was erected at 41 Colquhoun Street. Known as Galloway Cottage, this continued in its role as a teacher’s house well into the 20th century. The original school began with 39 children on the roll, but uptake was so rapid it was soon acknowledged that a new school was needed. So in 1853 a custom-built school was opened at 11 Grant Street, at the corner of Grant Street and East Princes Street, with Mr Mair as headmaster. Financed by a government grant, this thrived to the extent that a female department and an infants department were also created. At its peak, around 400 children were on the roll. 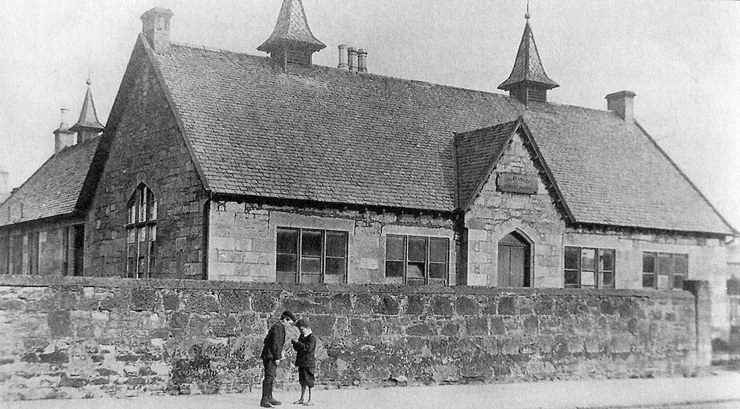 In the wake of the very important Education (Scotland) Act of 1872, which made education compulsory for those aged 5-13, there were major changes to the pre-existing system, and Grant Street School was among those affected. These changes took some time to fully work through the system. The Helensburgh Directory of 1875 still refers to Grant Street Industrial School, but soon after the name was changed to Grant Street Public School — quite a change of fortune for the old Ragged School. According to the book “Around Helensburgh”, by Ken Crawford and Alison Roberts, the Industrial School was demolished in 1876. If this is so, then Grant Street Public School represented a new build by the School Board of the Parish of Row, the Public School seemingly occupying the same site as its predecessor. The public school at Grant Street should not be confused with another school founded there in 1880, St Joseph’s R.C. Chapel and School. George Mair retired in 1898 as a greatly-respected figure — his obituary in a 1916 issue of the Helensburgh and Gareloch Times must rank as one of the longest ever published. His place at Grant Street was taken by James Crabbe, a graduate of London University, and the man whose name appears on the prize won by Mary Gibson. But just how did Crabbe come to be associated with James Street School as well? Indeed, just when did that school come into being? Helensburgh is fortunate in having an excellent set of local directories housed in the Library in West King Street, although there are some gaps. The issue for 1875 makes no reference to James Street School, although there is mention of Springfield Academy, a private institution. But the next available issue, covering 1883, lists Grant Street and James Street Public Schools as one entity, with George Mair as headmaster. The school at James Street is entered as James Street Public School, 63 James Street, and the teacher is named as Miss J.McBrash. The corresponding directory for 1889 lists the school at the same address, though the teacher is now Miss Jane Drysdale. This was at the junction of James Street and West King Street. Given the society of the day, the very fact that a woman was the named teacher of a school would suggest the school was either very small, female only, or taught only to a comparatively elementary level. James Street Public School is still listed as such in the Helensburgh Directory for 1904, but the address is now given as 16-18 West King Street, at the junction with James Street. There was still a female headmistress. However 63 James Street is still listed as a school, but now with the name St Michael’s School. Clues to the sequence of events leading to these changes may be found once more in the pages of “Around Helensburgh”, a collection of old pictures. In association with a picture of what many will recall as St Joseph’s R.C. Primary School, the caption states that in 1890, Row School Board built a new school for infants and primary. If the main frontage of this new school faced West King Street, it would certainly help explain the contradiction of name and address. 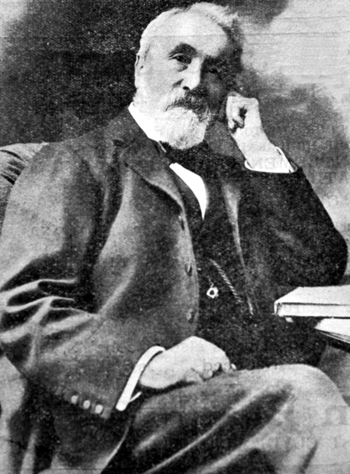 “The Story of Helensburgh” was published about 1894, and although anonymous, it is commonly attributed to George McLachlan, the long-serving Town Clerk of Helensburgh. This would certainly help explain the apparent contradiction of a female teacher being in charge of a public school. So James Street Public School, while operating in the context of the 1872 Education Act, taught only to a certain level, and it would doubtless have been deemed appropriate to have a male teacher, in this case, James Crabbe of Grant Street School in overall charge. 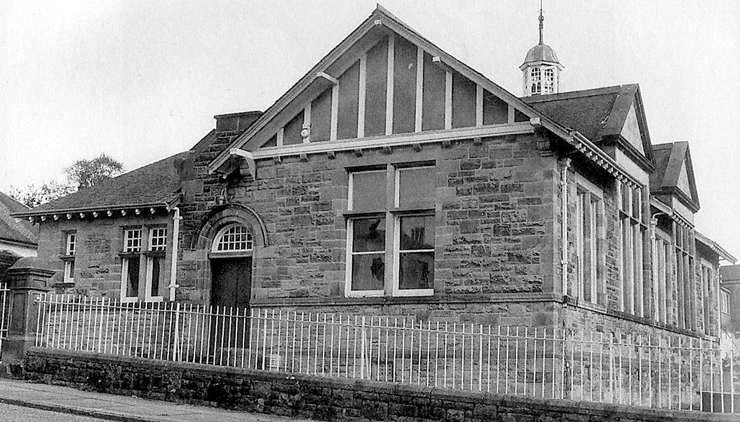 A major change came about in 1904, which would profoundly affect both James Street and Grant Street Schools — the opening that year of Clyde Street Public School, which is now the old part of Helensburgh and Lomond Civic Centre on East Clyde Street. Both pre-existing schools were deemed surplus to requirements, and were closed. There was some continuity from old to new, in that James Crabbe was appointed headmaster at Clyde Street, while his assistant at Grant Street, William McLatchie — later headmaster at Garelochhead Public School — was also successful in gaining a post at the new school. Crabbe remained at Clyde Street until about 1928, when he was succeeded by Sam Rae. Mr Crabbe’s residence while at Grant Street School, Galloway Cottage, continued to be his home when he was headmaster at Clyde Street School, and for his successors in that post right up to Alex Douglas, the last headmaster. As far as the fate of the former James Street Public School is concerned, there is a concise account in “Around Helensburgh”. Following closure in 1904, St Michael’s Episcopal Church ran it as a denominational school, St Michael's School (right), until 1913, when it reverted to local authority control, serving as an infants school until 1933. Then the Roman Catholic Church took possession, and ran it as St Joseph’s Primary School until the late 1970s. The building was demolished in 1980, and Waverley Court built on the site. It was the closure of another chapter in the educational history of the burgh of Helensburgh.